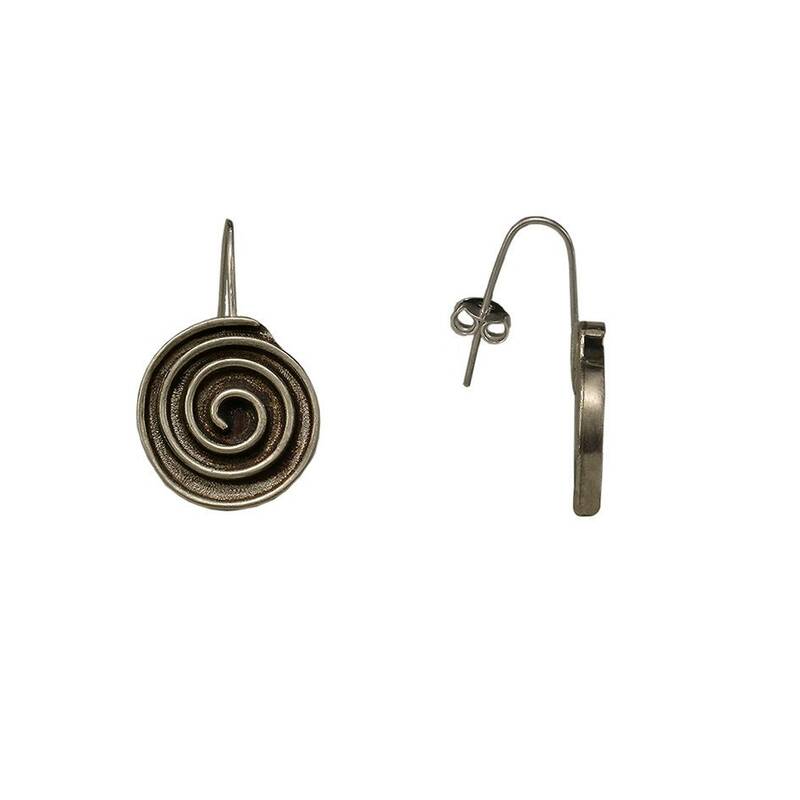 Silver big circle dangle earrings with sterling silver hooks or posts and clasps. 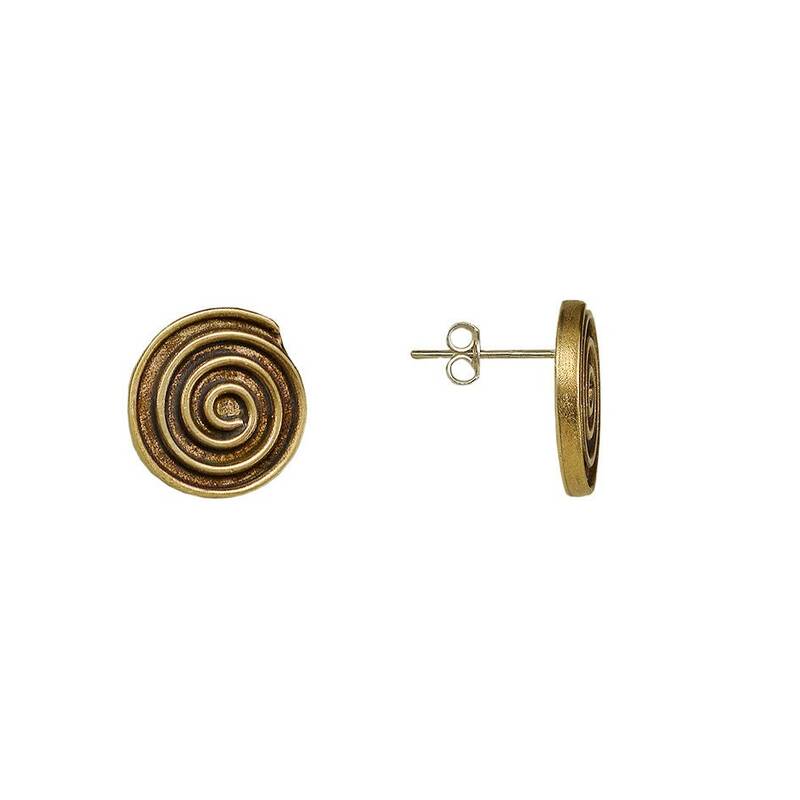 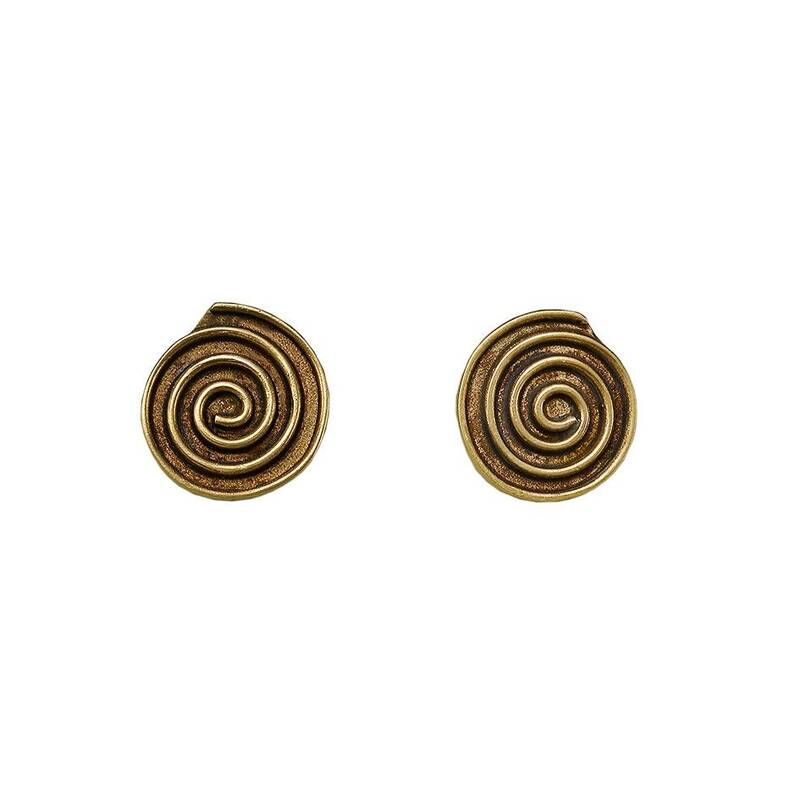 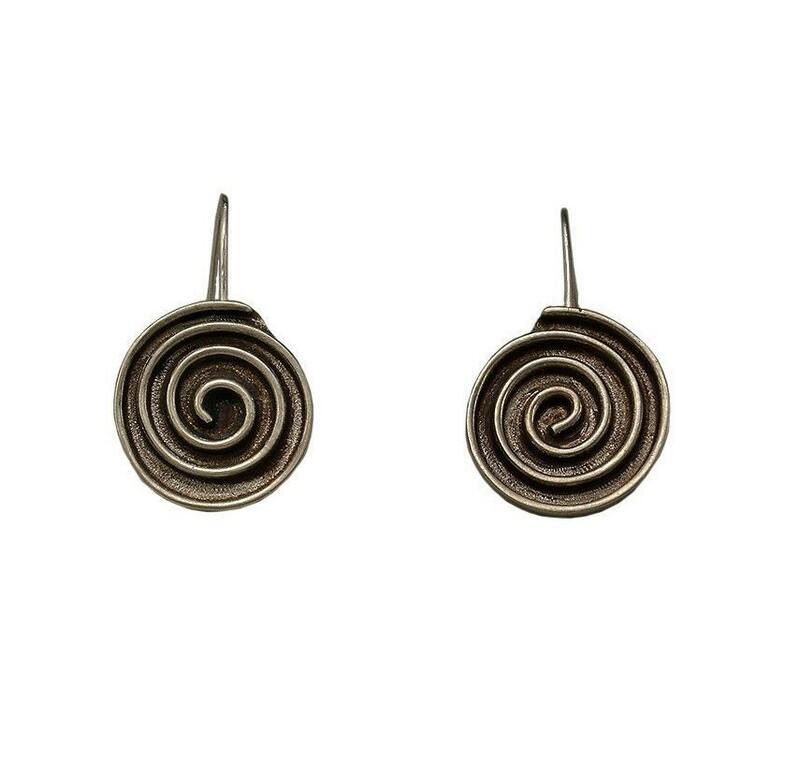 If you are looking for a pair of swirl solid karma gold stud earrings , these spiral disc woman stud earrings in alpaca (silver tone) or in tumbaga (gold tone) are an excellent choice . 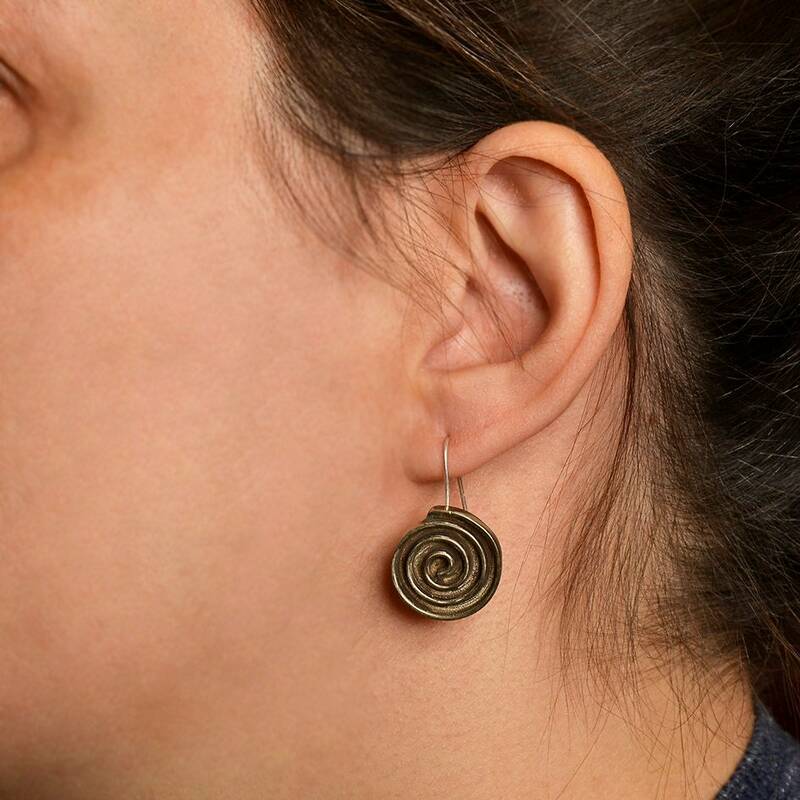 The circles are designed and cut from the metal by hand. 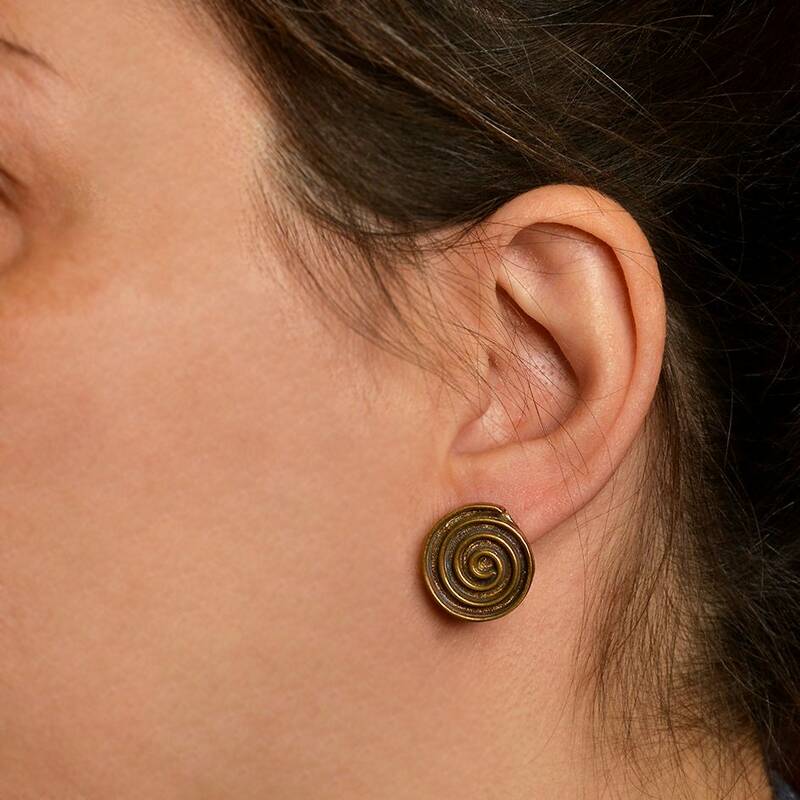 Then a spiral also molded by hand is attached to the circles. 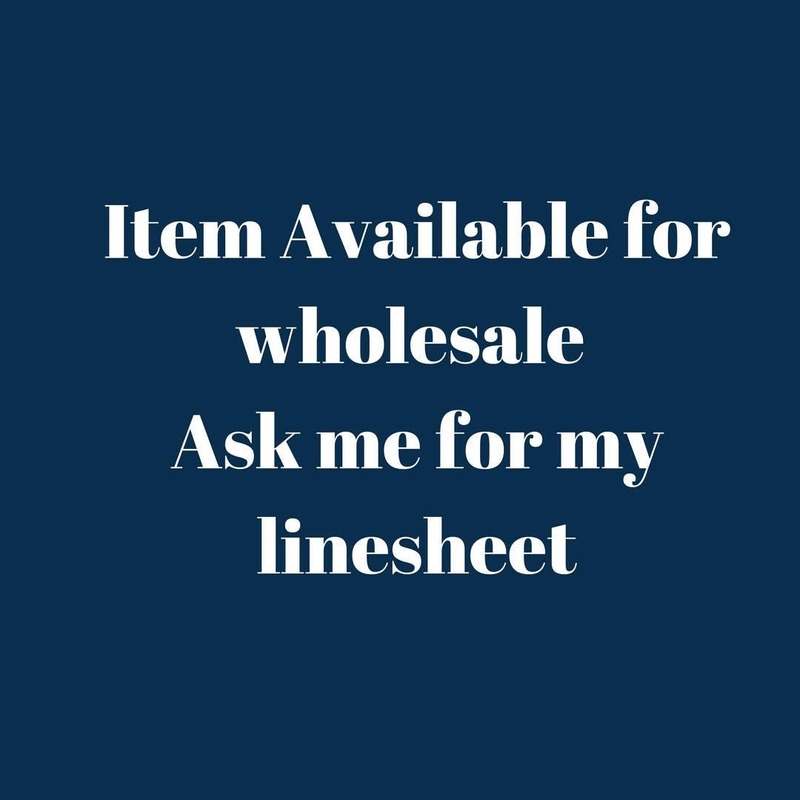 I’m a jewelry wholesale seller. 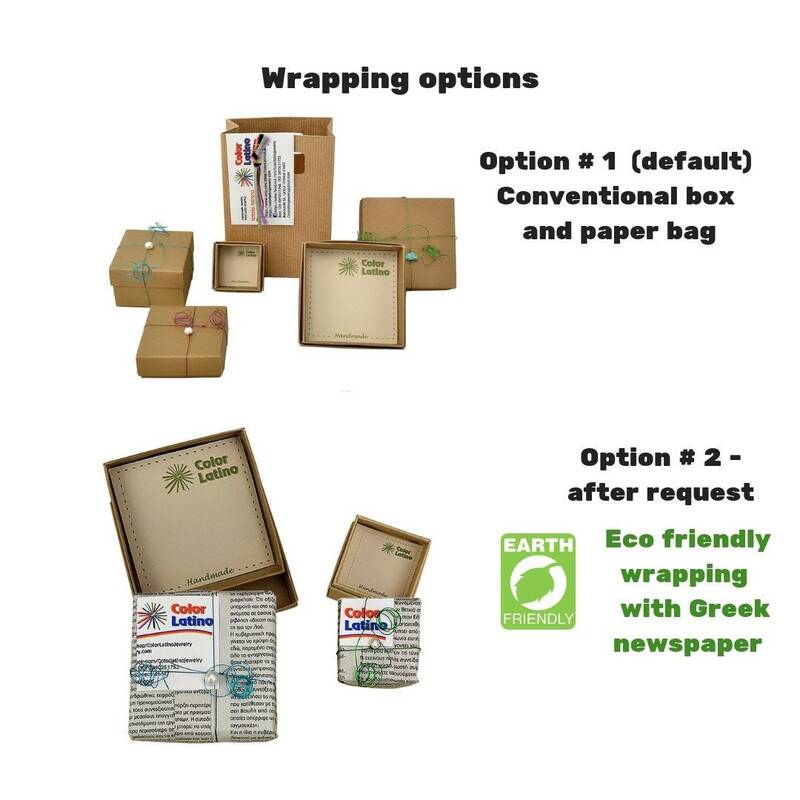 If you’re a retailer, ask me for my catalog. 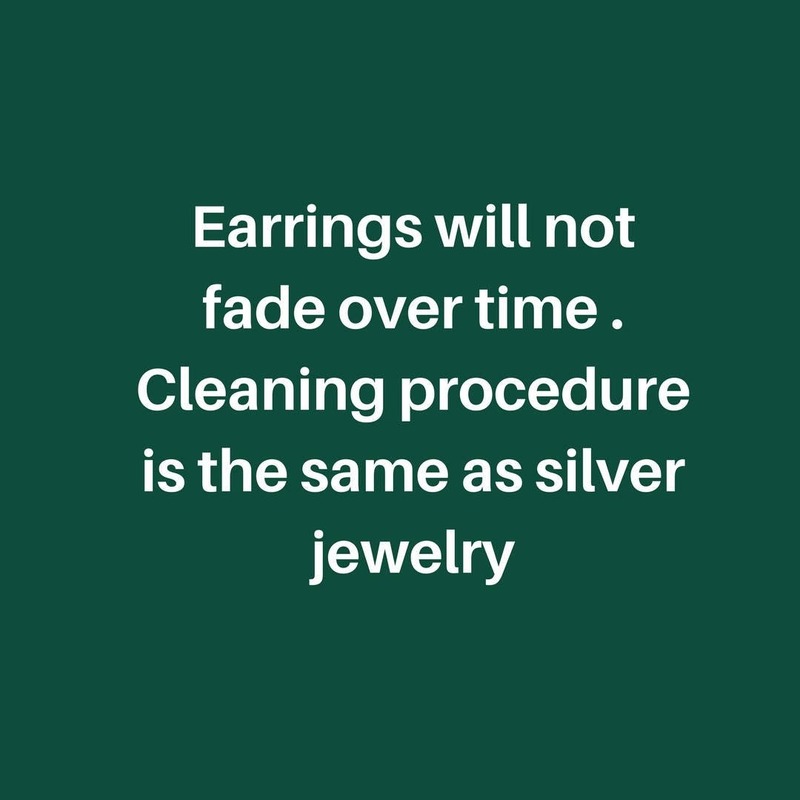 Cleaning procedure of tumbaga and alpaca jewelry: Place some metal cream polisher on the metal part of the earrings and polish them with a cloth.